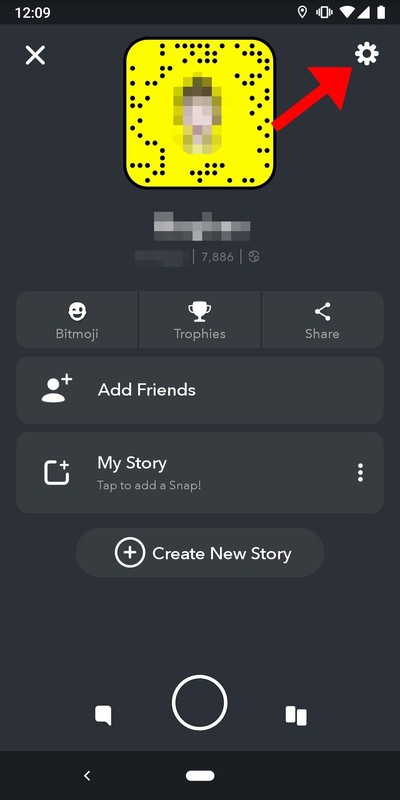 Everyone loves sharing pictures and quick video clips with Snapchat, but while the service itself is tons of fun, the Android app is one of the worst on the market. For one, Snapchat takes terrible photos even on high-end Android phones. And to make matters worse, the app is a notorious data-sucking battery drainer. Since Snapchat bans folks for using third-party apps like Casper, you might think you're just stuck with the battery drain and excessive mobile data usage. Luckily, though, there's a couple of hidden settings you can use to drastically reduce Snapchat's battery usage and mobile data consumption. 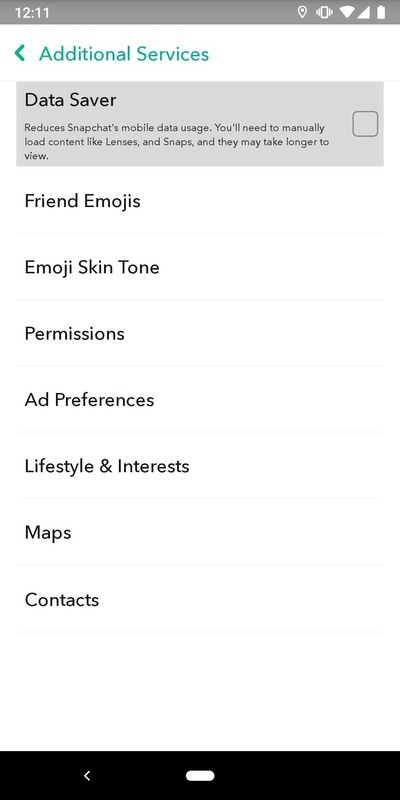 To make Snapchat stop using so much mobile data, open the app, then swipe down to access the main menu. From here, tap the gear icon, then scroll down a bit and select "Manage" under Additional Services. Finally, enable the "Data Saver" option and choose whether you want the feature to stay enabled for three days, a week, or until you turn it off. For best results, we recommend choosing "Until turned off" here. 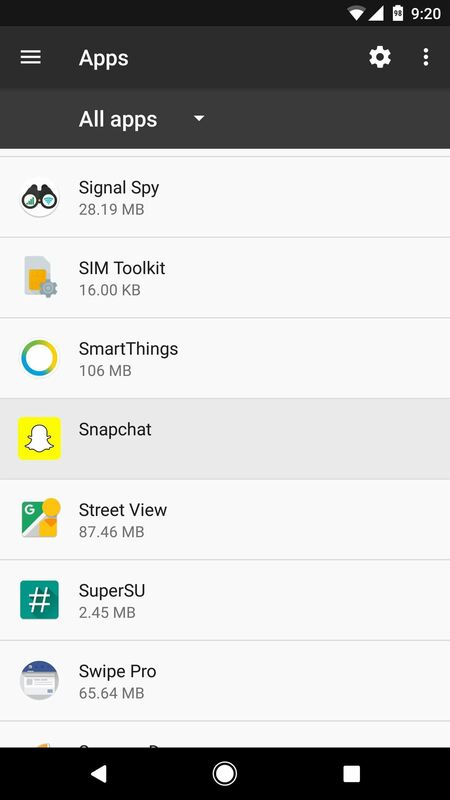 Enabling Data Saver ensures that Snapchat won't continuously preload Snaps and Stories in the background. 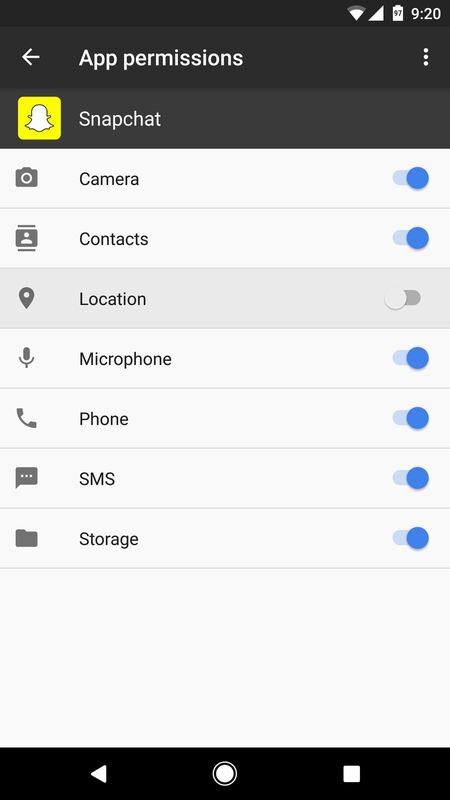 In other words, before you enabled this setting, the Snapchat app was eating through your mobile data when you weren't even using it. The main reason that Snapchat is such a battery hog is that the app constantly checks for location updates in the background, which keeps your phone awake more often than it should be. You can remedy this issue rather easily, but in order to do so, you'll need to be running Android Marshmallow or higher. 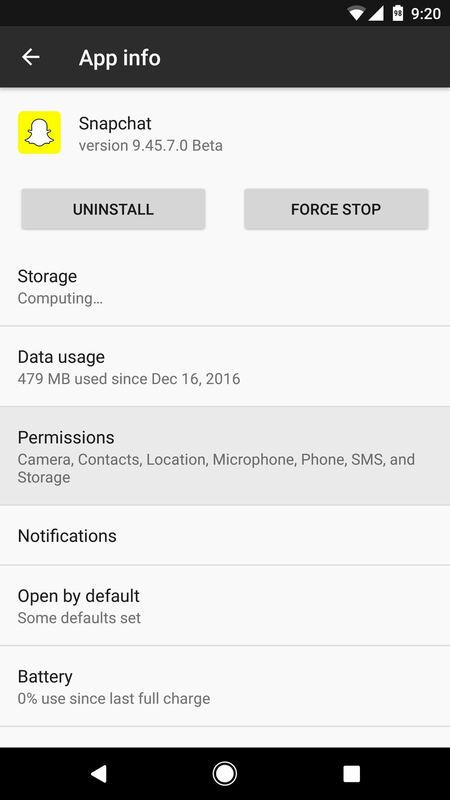 If you meet that requirement, head to the Apps menu in Android's Settings. 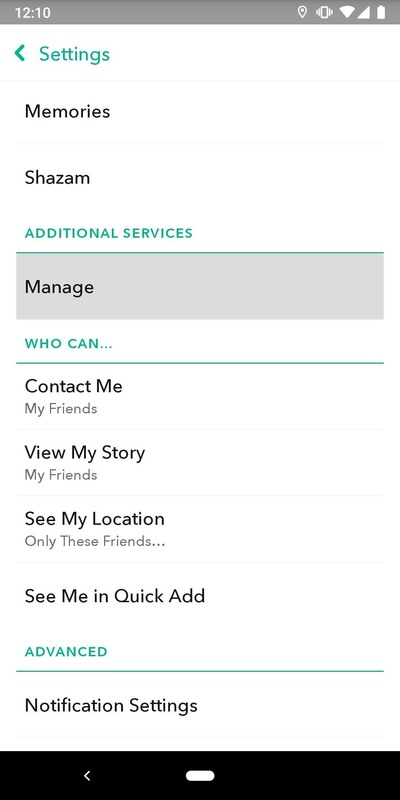 From here, scroll through the list and select Snapchat, then choose "Permissions" on the following screen. Finally, disable the "Location" option, then confirm your choice on the popup. From now on, Snapchat won't be able to scan for your location, so your phone's processor (and battery) should finally get the rest it needs. This battery-saving setting has the side effect of disabling geofilters in Snapchat, so that's something worth considering. However, if you absolutely must use geofilters, you can temporarily reenable the location permission, then turn it back off when you're ready to start saving battery again.